Home lockouts happen to the best of us. Even the most careful planners can get got caught in this predicament. Whether a traumatizing event like your purse and keys being stolen leaves you locked out, or a miscommunication among family members, it’s best to call the experts at 858 Locksmith. Our 24/7 locksmith service covers San Diego, CA and surrounding areas. You can count on our local team of expert technicians to get the job done right the first time. Even if the spare key is just inside the house, call us and we can get you back in your home quickly and safely. Resist the temptation to figure out your own way into your house. Nobody wants a costly repair bill from a spur of the moment decision to break a window or door. Whatever your situation, we are here to help. Do the smart thing and call us to get you back in your home as soon as possible. We understand you have many choices of locksmiths. We also understand your time is valuable. Our expert technicians have a 30 min response time in San Diego, CA and surrounding areas. Our honest, highly trained lock technicians are licensed bonded and insured. We go the extra mile to earn your business. We are available 24/7 to serve you. We know home lockouts can be stressful, so we will make you feel at ease from the minute we arrive. We understand your frustration and we are ready to assist you. Our goal is to get you back in your house with as little stress as possible. With our up front pricing there are no surprises and you can feel confident knowing you are paying a competitive price. If a home lockout happens to you, call the fast and friendly mobile locksmiths at 858 Locksmith. When it comes to lockouts, security is a factor. If you don’t know who got a hold of your house key then it’s always better to be safe than sorry. That’s why you should use a complete locksmith service. We can handle all your residential locksmith needs with our high-tech equipment and tools. Whether it is changing a lock, or a lock rekey, our 24/7 mobile locksmiths have got you covered, and we will complete the job promptly. Our promise is to give you back the secure feeling of knowing only you and your family members have entry keys. Sometimes you just need to have the house unlocked. No problem! We are there to help! 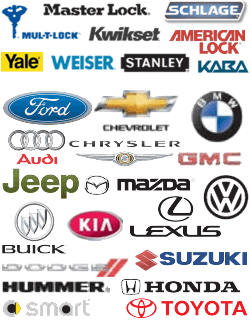 Best of all, with our honest, up front pricing you will know what you are going to pay ahead of time. We are a local, dependable company with excellent service. You are our neighbors and we want you to be happy. You can trust us to provide excellent service. We will do our best to build a customer for life. If you have ever had replacement keys made you know they aren’t all equal. It’s a helpless feeling to have a spare key and then realize it doesn’t work. Hardware stores don’t have the specialty, precision equipment we use. Our local company has 5+ years experience in the residential locksmith business. 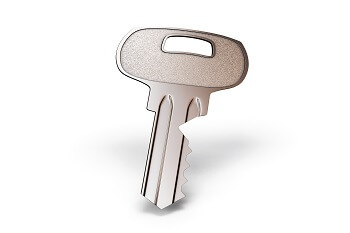 We can provide a reliable key replacement for your home at competitive prices. Having a complete locksmith service gives you peace of mind knowing that the job will be completed right the first time. Our up front pricing means there are no surprises. Our highly trained lock experts will make sure you are given excellent service because we appreciate your business. As frustrating as home lockouts are, you can feel confident that we will be there to answer your call quickly. At 858 Locksmith we are a 24/7 locksmith service because home lockouts don’t happen at convenient times. We are here for you, so give us a call. You’ll be glad you did! Home Lockouts https://858locksmith.com/home-lockouts/ 3.9/5 based upon 19 reviews.